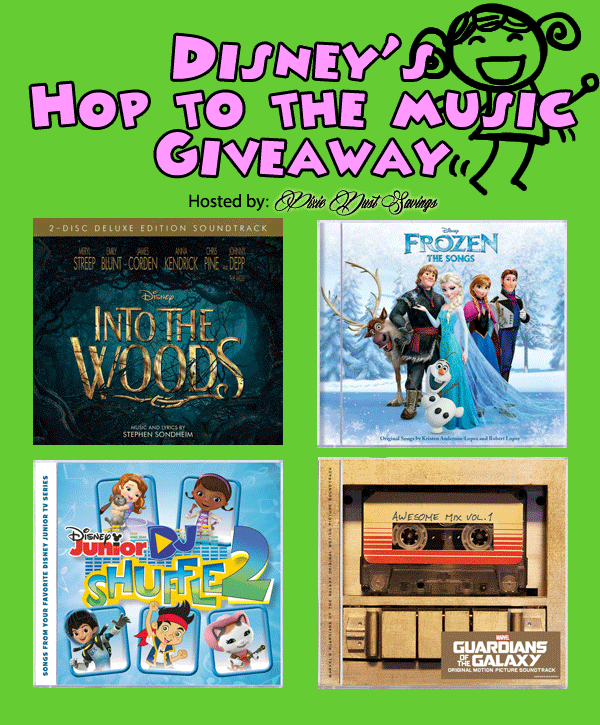 April over at Pixie Dust Savings had the chance to review four great Disney music CD’s! You can see her full review of all the CD’s here. She is also giving away a prize pack including all the CD’s to one lucky winner!! Giveaway ends April 4th, 2015. If it comes to this blogger’s attention that the winner of this giveaway has won on an additional blog for this same prize, this blog reserves the right to choose another winner. Pixie Dust Savings and the participating bloggers are not responsible for prize fulfillment. I think the girls would like the Disney Junior DJ Shuffle 2 the best. I want to listen to the Guardians of the Galaxy Soundtrack most.